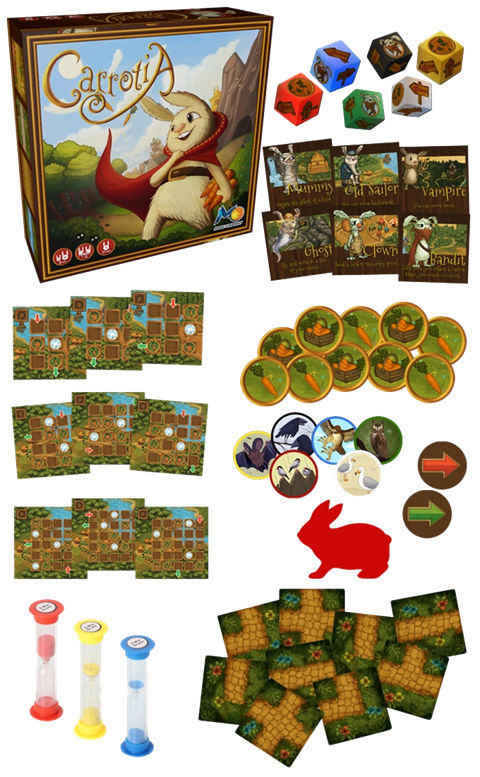 A coop, tile-laying game where players race against the clock to build paths & allow the rabbit to collect carrots and escape the maze! FEEDBACK: We made a small print of the base game and thanks to your feedback we can now improve more the gameplay. SHIPPING: Regardless the country you live, we have partners everywhere and we get your rewards without issues. Thankfully we have the full cooperation of our vendors. We also cover part of the shipping fees in order to make it easier for you to choose the pledge you want. 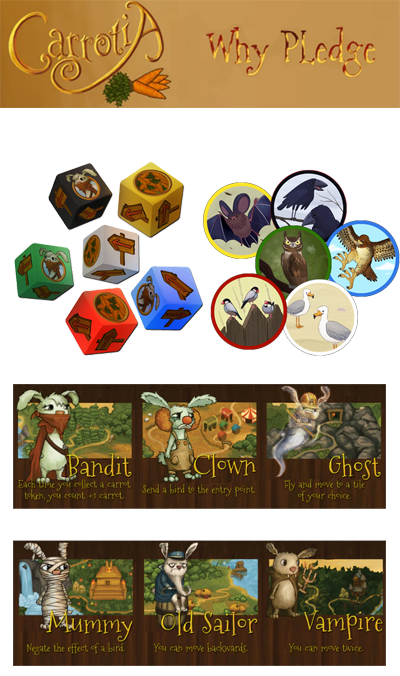 LIMITED PRINT: As we mentioned we made a very small print of the base game and through this campaign we will try now to make a proper print. 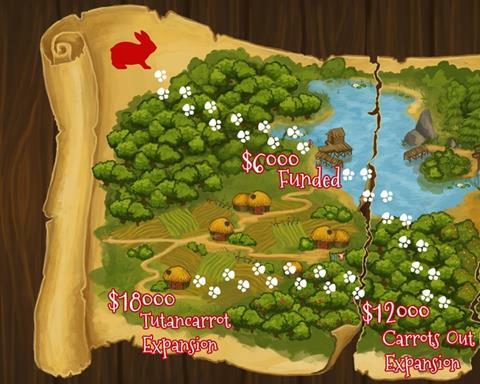 However all the stretch goals-expansions that will be generated through the campaign will be produced in limited quantity since the costs of production and art are not low and we want to focus on the base game. NEW EXPANSIONS: Yes, is true. 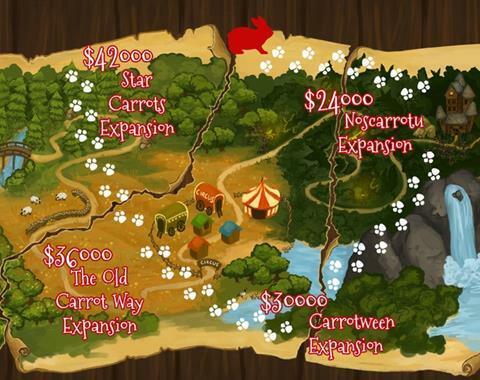 We built the campaign in such a way where each Stretch Goal generates a totally new and different expansion for the game. 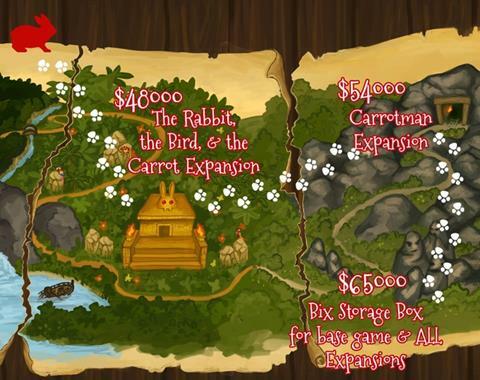 labyrinth tiles, 3 new rabbit characters, new carrot tokens but also each expansion hides few more new components and a new or different game. We add a mechanic or play with some of the rules, therefore Carrotia can be your next favorite family game. The Campaign goes live on August 25th and will last only 2 weeks! Hurry and spread the news!